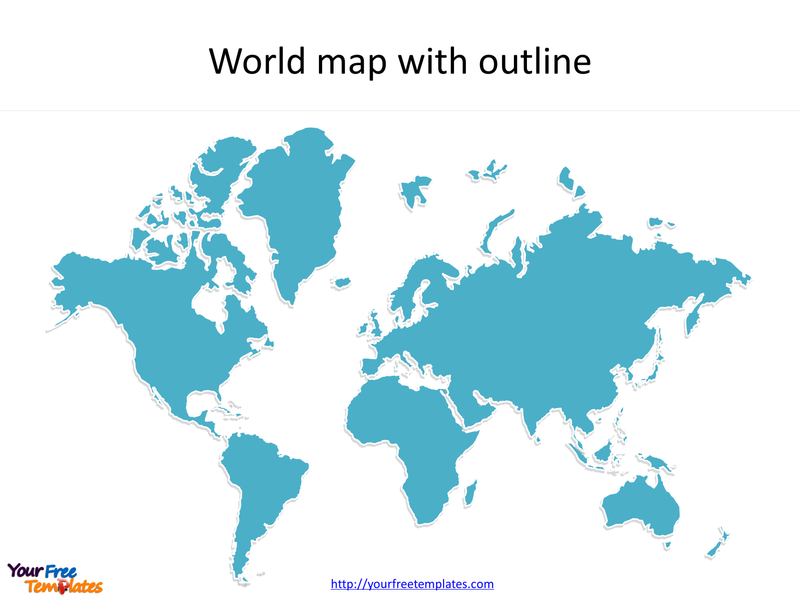 The World maps Blank Template in PowerPoint format includes three slides of different layers, that is, the outline of world, continents of world and world countries. Firstly, our World outline map blank template has the global outline on it. Secondly, there are six continents in our World continent map blank template. Finally, we have the most popular country map of the world in this template. The World map is our hand-draw map with more edges than other ordinary GIS maps, giving more vivid map presentation for your targeting countries. Slide 1, World maps Blank Template with outline only. Our World maps blank template with outline are for the planet Earth we are living on. It is well known that we can use World map to describe the global situation. Furthermore, you can demonstrate your ideas from the perspective of world, comparing from the continent and the region. So our World maps blank template slide has the vivid outline for you to use. Therefore users can edit the outline map to create their unique Blank World maps and apply in different reports. 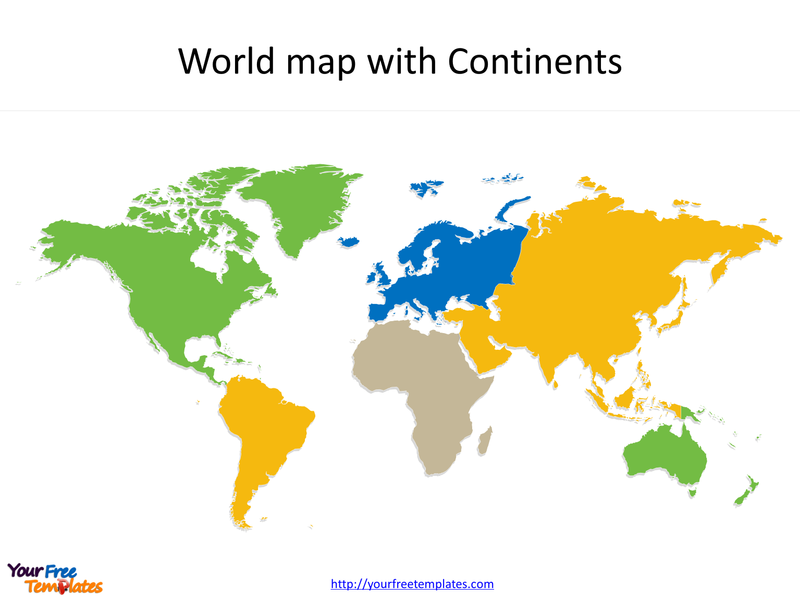 Slide 2, World maps Blank Template with six continents. The Blank World maps of continents are the division of six continents. The six continents are Asia, Africa, North America, South America, Europe, and Oceania/Australia. What is more, every individual continent subdivision is an editable shape. In a word, you can change the colors, sizes, highlight some map continent shapes, and integrate with your charts. At the same time you can also refer to the fully World definition in Wikipedia. The most important of all, analysts from marketing research companies, consultants from professional firms are very happy with our map templates; because our maps can help to reduce their efforts and create good-looking world maps. 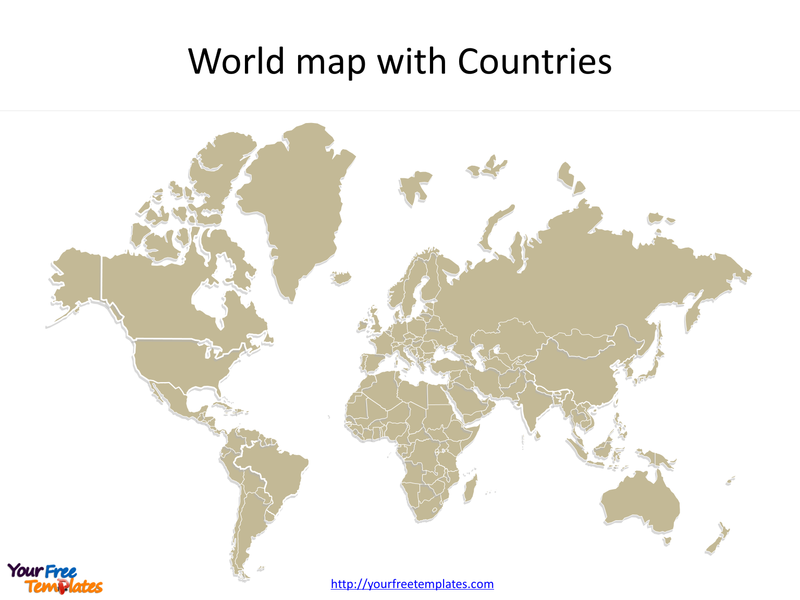 Slide 3, World maps Blank Template with individual countries. The Blank World map of countries are the division of all major countries, such as China, India, USA, Canada, Russia, UK, France, Germany and Japan etc. There are approximately 200 countries in the world. 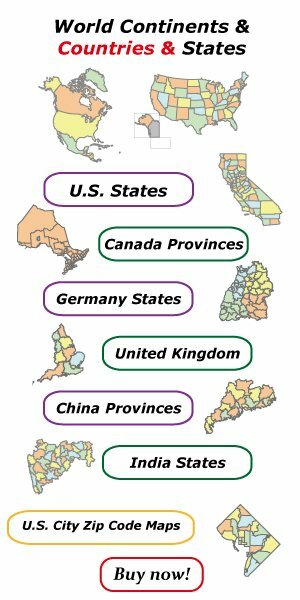 Then in our world maps template, you can group some countries into regions or for some blocks. What is more, you can define your target country group, comparing information such as population and GDP.